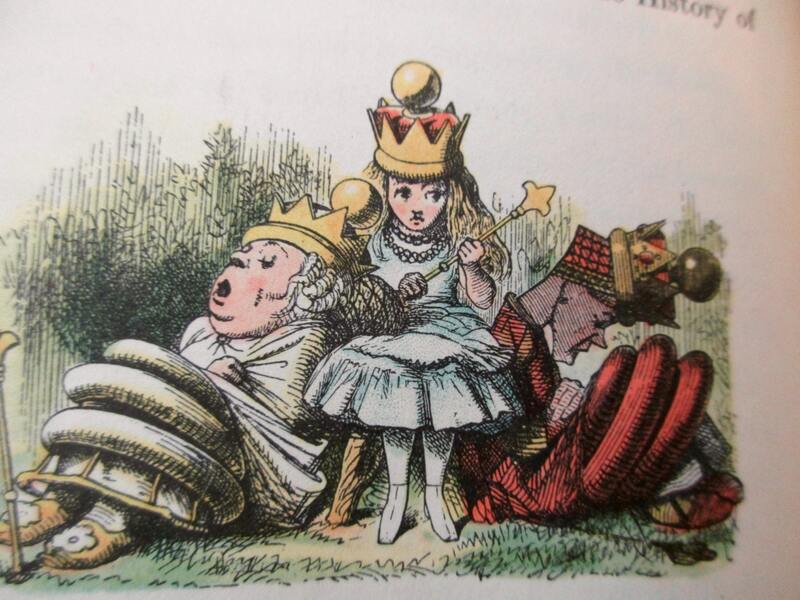 What great illustrations by John Tenniel are found in this book! They look like early prints that were hand painted and are done by Fritz Kredel. The book would be a nice addition to your Lewis Carroll collection! This one is in very good condition...The cover is in great condition and only shows very little wear. There are no stains, folds, or writing on the pages except the previous owner's name on the first page. Seller was extremely nice to put my purchases together as the original "boxed set" from 1947 Book of the Month Club would have been received originally, including welcome card & a vintage Valentine secretly stored in the volume marked "Marge Johnson 1947". Even the box has the original lithograph sticker which makes it priceless! Lithograph is a "lost art". Can't say enough good things about this wonderful seller. Thank you. The book arrived just as described and was beautifully wrapped in an antique dress pattern. My daughter will love this! My daughter is going to love it. Packaged so cute. Thanks you. Happy holidays. I do love this book , the pictures are very nice ! Thank You.